Scotland may be the home of whisky however there are many other countries around the word who are producing fantastic whiskies after taking inspiration from it’s place of birth. One of these countries is Japan and in particular Suntory whisky. Their story begins back in 1923 when Suntory’s founder, Shinjiro Torii, started building the first whisky distillery in Yamasaki, on the outskirts of Kyoto. He dreamt of creating a subtle yet complex whisky that would suit the delicate Japanese palate. Although inspired by the traditional Scottish whisky he envisioned a different approach by using a completely different terrain and climate. 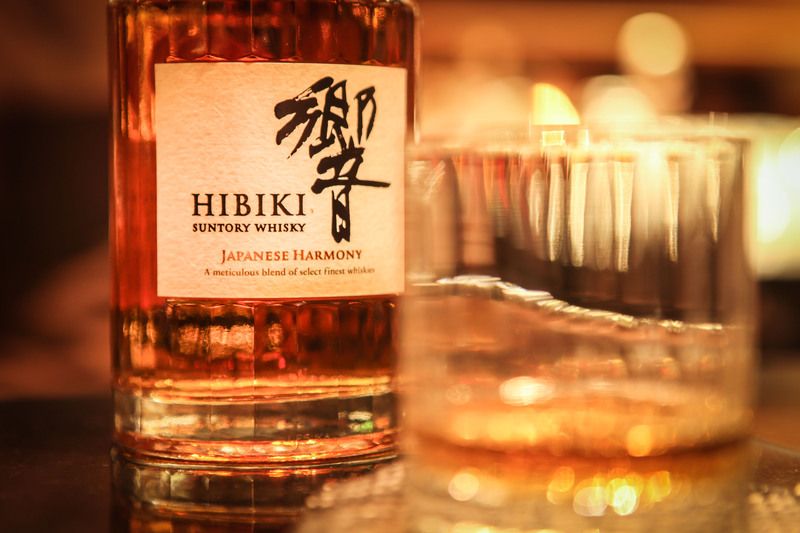 Hibiki Japanese Harmony is a blend of Japanese malt grain whiskies from Yamazaki, Hakushu and Chita (the three regions where their distilleries are located). The blend is light & approachable with aromas of apricots, orange blossom and marmalade with hints of subtle spiciness, cinnamon and clove. These fruity notes are apparent on the palate as too is the spice with a little pepper noticeable however it’s the fruit that takes hold. It’s in the finish where the spice really comes through and lingers along with some barrel char from the Mizunara (Japanese oak). Very smooth and well balanced. The Hibiki is the somewhat the baby of the Suntory house however due it’s classic soft character, fruity notes with subtle spice it should not be overlooked and is a fantastic choice for both an introduction to whisky and the connoisseur who enjoys a smooth dram.